A whitetail collected on Jan. 25, 2018, in Issaquena County has tested positive for chronic wasting disease. To date, CWD has been confirmed in 24 states, three Canadian provinces and two foreign countries. 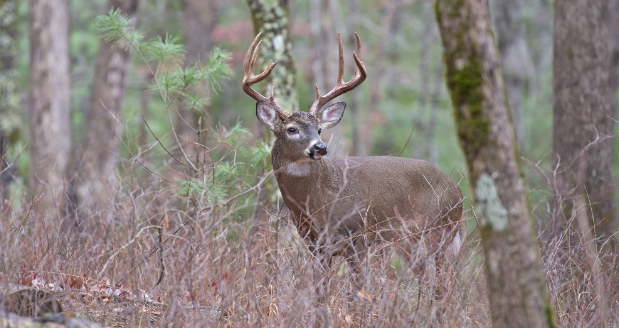 A whitetail collected on Jan. 25, 2018, in Issaquena County has tested positive for chronic wasting disease, the first confirmed case of the deadly disease in Mississippi. The deer was a 4.5-year-old male that died of natural causes and was reported to the Mississippi Department of Wildlife, Fisheries, and Parks. This is the first time an animal in Mississippi has tested positive for CWD, which is fatal to white-tailed deer. MDWFP will immediately implement its CWD Response Plan under the auspices of the Commission on Wildlife, Fisheries, and Parks. Pursuant to the Order of the Executive Director on behalf of the Commission, effectively immediately, supplemental feeding is banned in the following counties: Claiborne, Hinds, Issaquena, Sharkey, Warren, and Yazoo. CWD was first documented among captive mule deer in Colorado in 1967, and has been confirmed in 24 states, three Canadian provinces and two foreign countries. It has been found in the free-ranging herds in 22 states and among captive cervids in 16 states. According to the Chronic Wasting Disease Alliance, CWD affects only cervids (hoofed animals in the cervidae family such as deer, elk, and moose). CWD affects the body’s nervous system. Once in the host’s body, prions transform normal cellular protein into an abnormal shape that accumulates until the cell ceases to function. Infected animals begin to lose weight, lose their appetite, and develop an insatiable thirst. They tend to stay away from herds, walk in patterns, carry their head low, salivate, and grind their teeth. For more information regarding CWD in Mississippi, visit www.mdwfp.com or call (601) 432-2199.